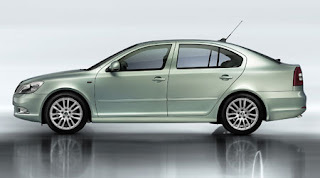 Skoda has given the C-segment Skoda Octavia liftback (aeroback) and estate a facelift for the 2009 model year. The front end receives a more dynamic look (e.g. 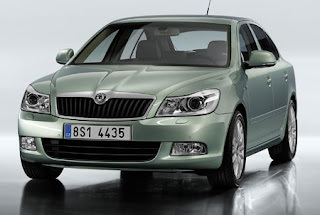 new Fabia-ish more shapely headlamps) instead of the straight-cut look that the pre-facelift Octavia had. The 1.6 FSI model will be replaced by a new 1.4 TSI turbocharged engine producing 122 horsepower, which is more than the outgoing FSI’s 115 horses. The star of the line-up will be the Octavia vRS which will feature a 200hp turbo FSI engine mated to a twin clutch DSG transmission.